Welcome to my Trip Report on Firefly! This airline is a subsidiary of Malaysia Airlines and it operates the ATR-72-500 and -600 to Singapore from Subang Airport, the 2nd commercial airport in Kuala Lumpur. 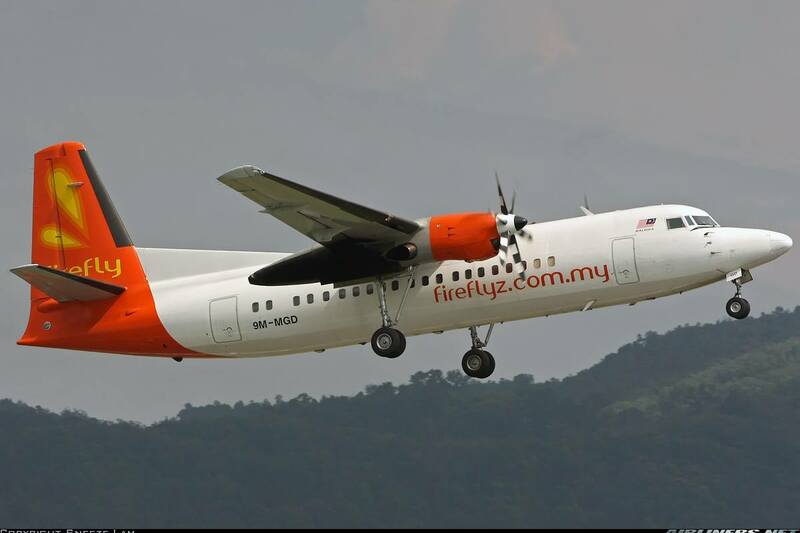 This airline is a Malaysian carrier operating mainly turboprops and is a 100% subsidiary of Malaysia Airlines. Its home base is Subang Airport and operates out of 2 hubs, Subang and Penang Airport. 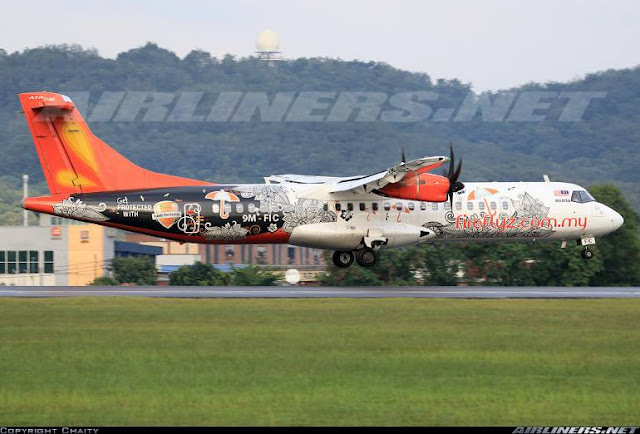 First flight took place on the 3rd April 2007 on Penang to Kota Bharu route. 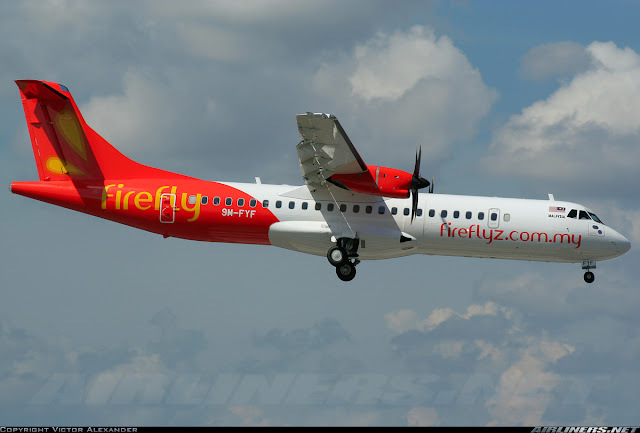 This airline initially started operation with 2 Fokker 50 aircraft and a 3rd one added to the fleet shortly after. 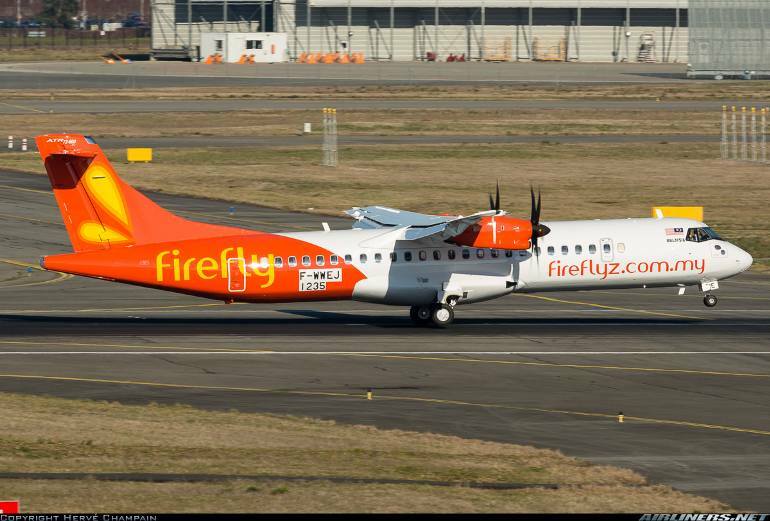 In June 2007, the airline signed a contract with ATR to order 10 ATR-72s with options for another 10. This option was taken up, not only to replace the Fokker 50, also used to fleet expansion and start international flights within the range of this turboprop aircraft. Later part of the same year, the airline ordered 30 Boeing 737-800 for expansion into Eastern Malaysia and regional routes and the first aircraft began operation for the airline in early 2011. However, the management of this airline changed its mind and decided to stick to just turboprop aircraft, retiring the fleet of Boeing 737-400 and -800. 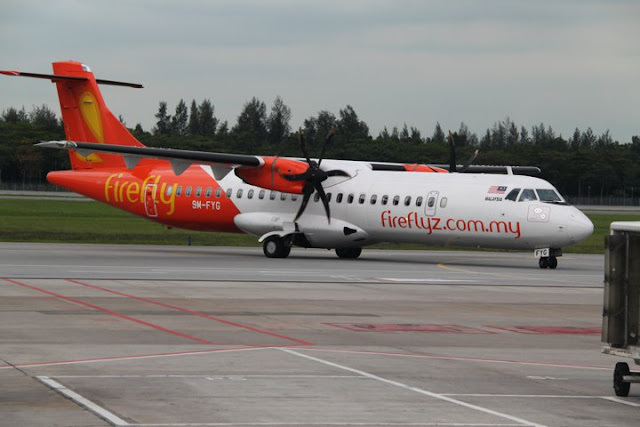 Airline routes such as Kuala Lumpur - Kuching and Kuala Lumpur - Kota Kinabalu were transferred to Malaysia Airlines, as the ATR-72 aircraft was not suitable for these routes. 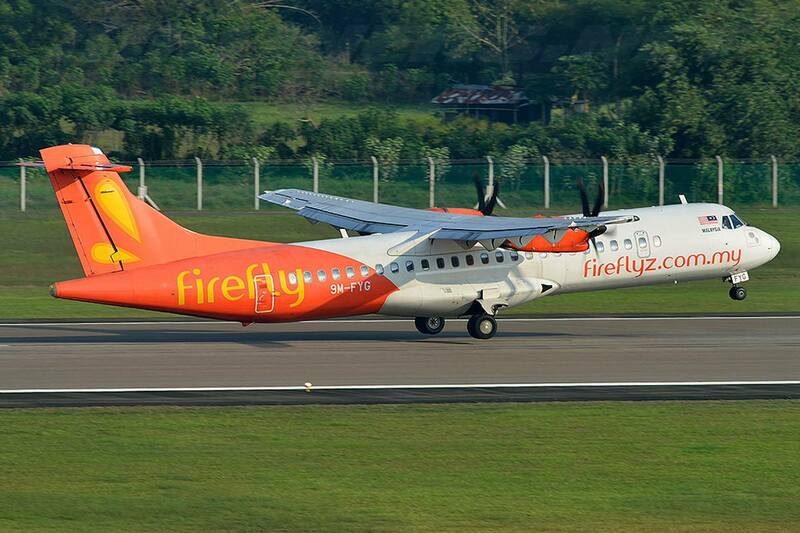 At the end of 2012, Malaysia airline ordered 36 ATR-72-600 for its subsidiaries, Firefly and MASwings. 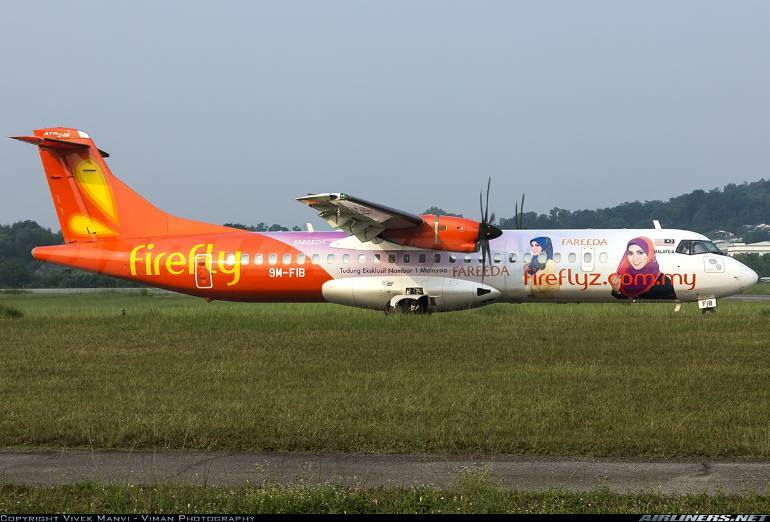 Firefly would take delivery of 20 of them. This airline used to operate the Boeing 737-400, -800 and Fokker 50 for a short period of time. 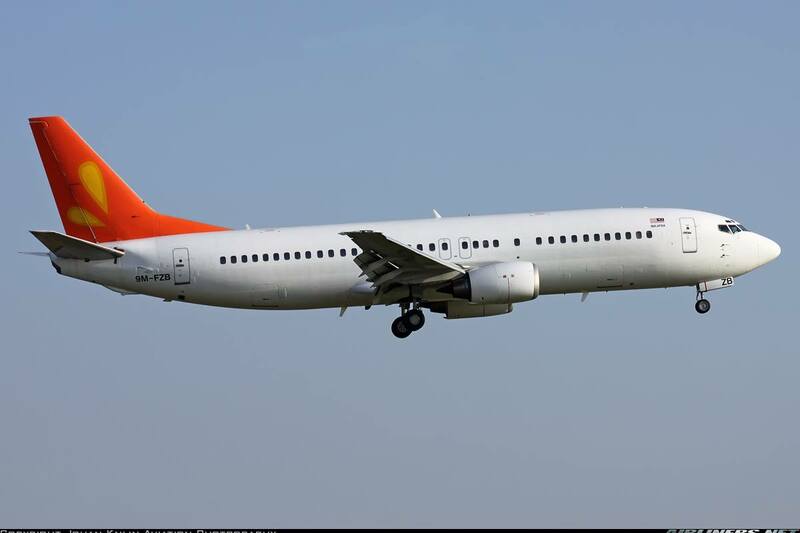 This is one of the airline's Boeing 737-800 operated on high demand domestic flights and chartered flight, however it was short-lived. 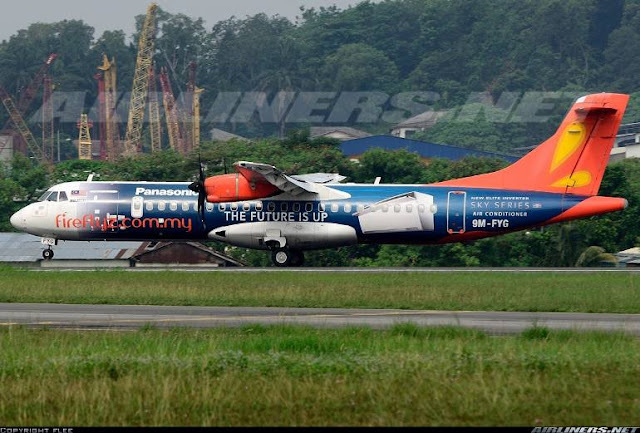 This is a yet-to-be delivered ATR-72-600 using the temporary French registration for flight testing. 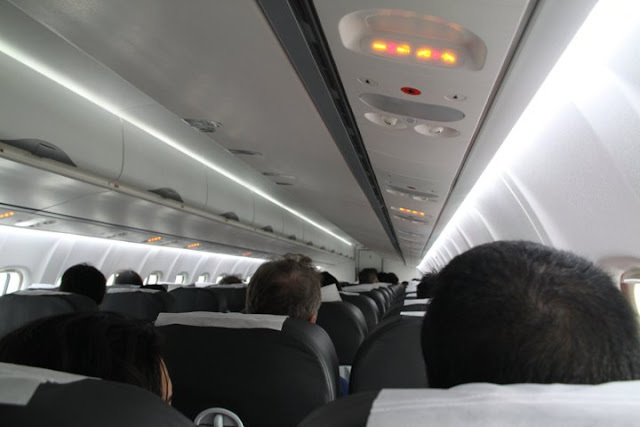 The airline's registration will be used once the aircraft is certified for commercial flights. At that time, Singapore Budget Terminal was located at the upcoming terminal 4 site used for Low Cost Carriers but some of them such as Air Asia and Jetstar chose to remain at Terminal 1. The decision to close it down to make way for the new terminal 4 is perhaps a wise decision. You can check out my photos of the defunct Budget Terminal over here. Changi Airport was the second in Asia to open a budget terminal, the name of this airline was decided by the public in a naming contest. This terminal opened on 25th March 2006 and operated until 25th September 2011 to make way for the upcoming terminal 4. This terminal was built to allow cheaper landing fees, handling fees and taxes to airlines which in return offer cheaper fares for budget conscious passengers. As a result, this terminal lacks aero-bridges and transfer facilities. In September 2008, the terminal was upgraded for expansion to allow 7 million passengers a year. This upgrade includes more dining options, check-in counters and shops. However, this money seemed to be wasted as the airport group decided to shut it down not long after to rebuild a proper terminal and Cathay Pacific has announced it would be one of the airlines operating from it. Getting to the budget terminal by bus or MRT can be troublesome. You can take either the bus or mrt to Terminal 2 then take the free shuttle bus to the Budget terminal, so flying out of this terminal requires a bit more time than the other terminals. Once I reached Budget terminal, I did my check-in and made my way to the air side. Boarding was called and we were to walk to the aircraft from the terminal building once our air tickets were checked and a part of it was torn off, giving us back the smaller portion. I spotted my aircraft taxiing in. 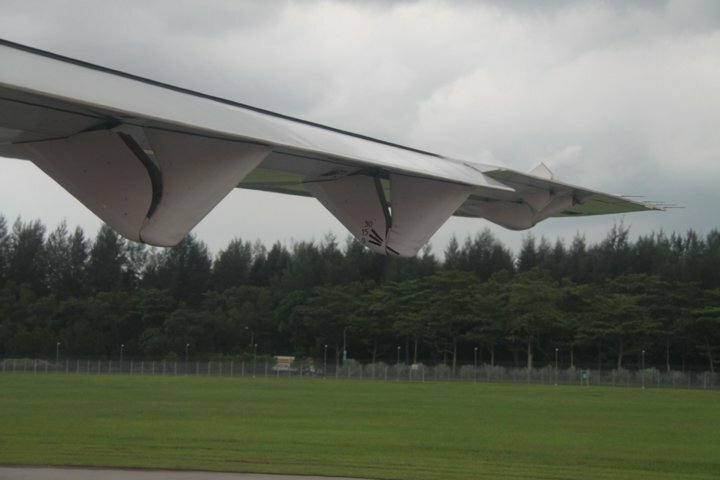 The ground crew were preparing the aircraft for its return flight to Subang. The passengers were welcomed warmly by the 2 friendly Malaysian crew who were pretty nice through out the flight. After the flight, I had a good conversation with one of them about their work and whether they like the ATR-72. I admire these crew as they had to fly on the ATR-72 every day and experience bumpy rides in bad weather. 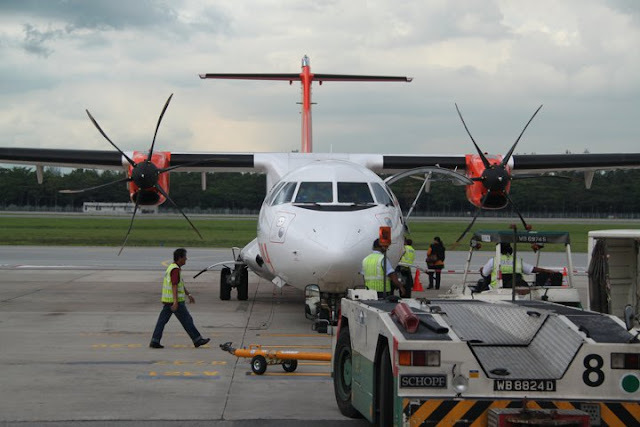 I had a bad experience before on a Dash-8 aircraft in USA and that I remembered I had a good "Merlion" (vomiting) session during the flight and I was scared to fly on another propeller aircraft. So thinking about of this incident, I was a bit cautious and nervous about flying on this aircraft. 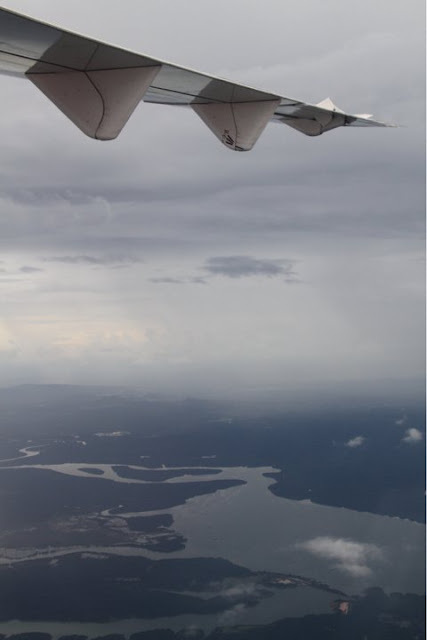 During the flight, a packet of biscuit and water was served. The cabin crew went into the cockpit to probably ask whether the flight crew wanted anything. Take off was slightly bumpy and it got a bit worse while passing through some clouds. The "drops" made me think whether booking this flight was a good decision and also considered taking the bus back instead of flying back. 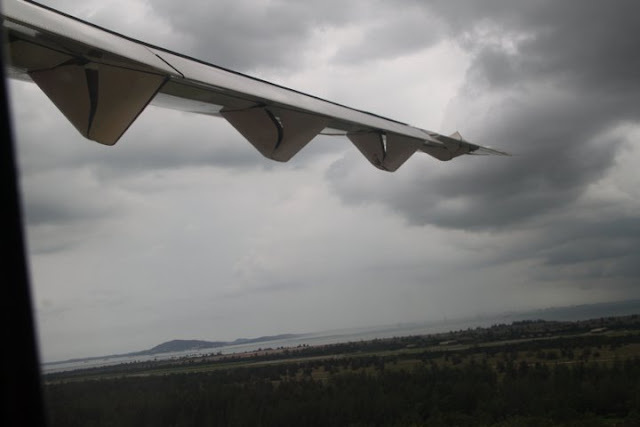 After a bit more bumps during the descend, we landed safely. We arrived slightly late, but was just relieved to be on the ground. 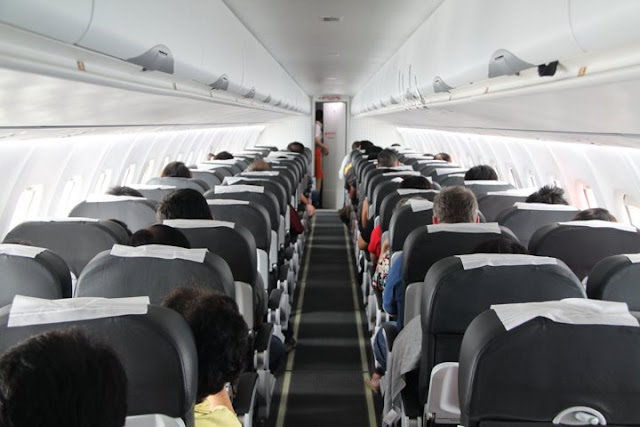 Glad to have finally flown on the ATR aircraft but I wasn't thrilled going through the "drops". In the end, I flew my flight back to Singapore with Air Asia and fortunately for me, the ride was smooth. The aircraft took off with flaps 15. It was slightly bumpy at this point. It wasn't an ideal day of flying especially on a turboprop. The clouds were not very friendly! 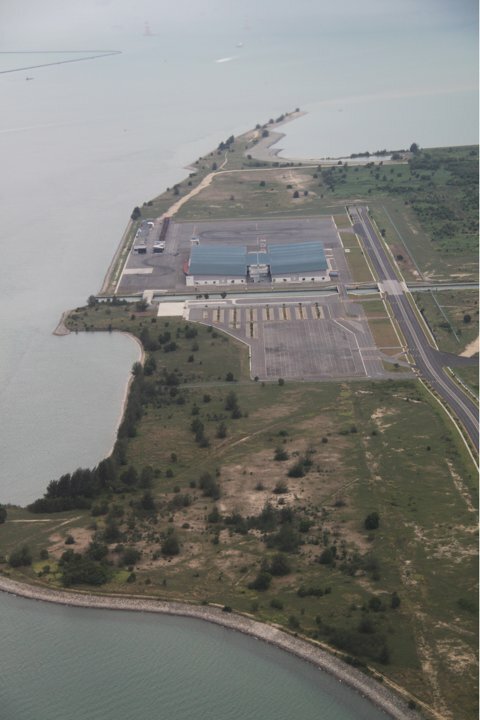 The runway 20L/02R is used for the military base. 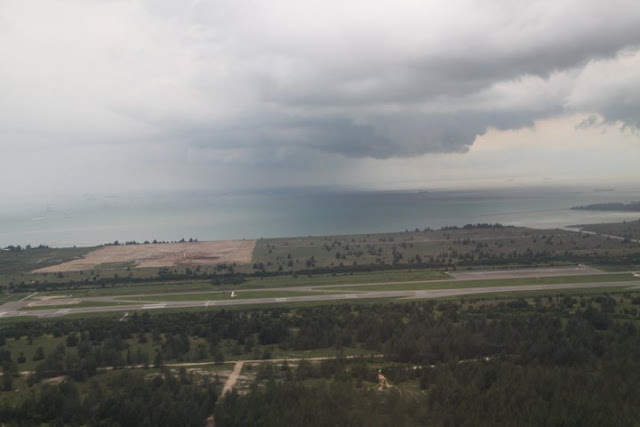 The military air base located near Changi Airport. 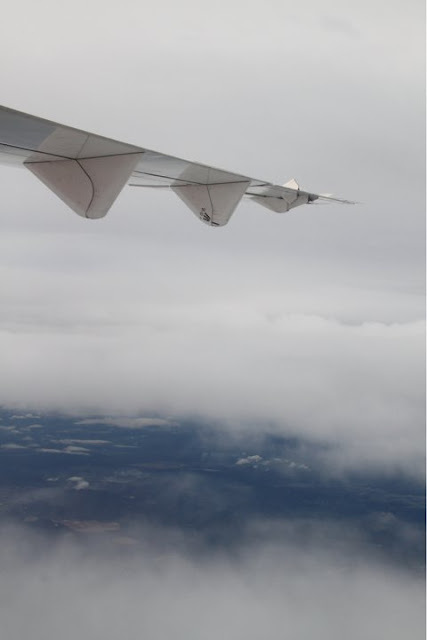 Fortunately for me, I am less afraid of turbulence these days especially after going through some of the roughest weather on these rides: Peach Aviation flight and Korean Air flight. I can imagine how worse it would be if these planes were flown by turboprops instead. 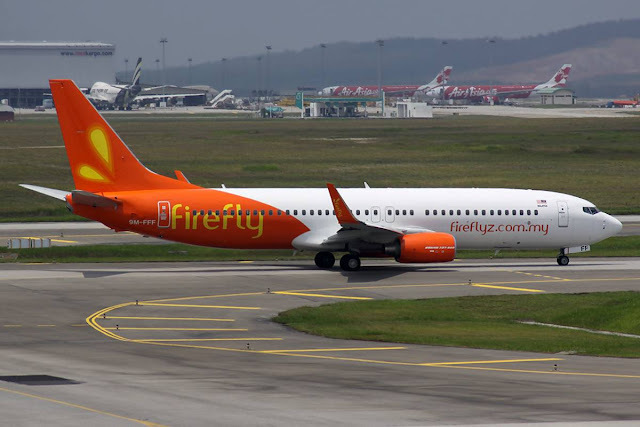 My first impression with this airline ended well and I won't hesitate to fly with this carrier in the near future. For the nervous flyers, don't worry. 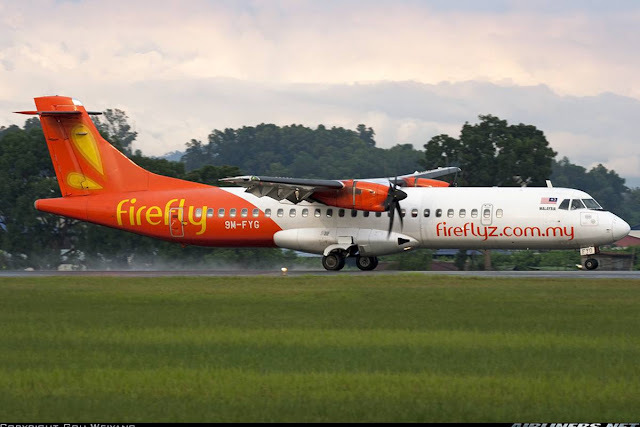 This airline has an excellent safety record and has a good amount of experience with this aircraft type and if the weather is bad, the airline and other turboprop operators will not risk the lives of the passengers by making the pilots fly through them, that will definitely not happen. As this airline is the only operator to Subang, air tickets can be expensive but if you want to get to town faster, this is a good option. 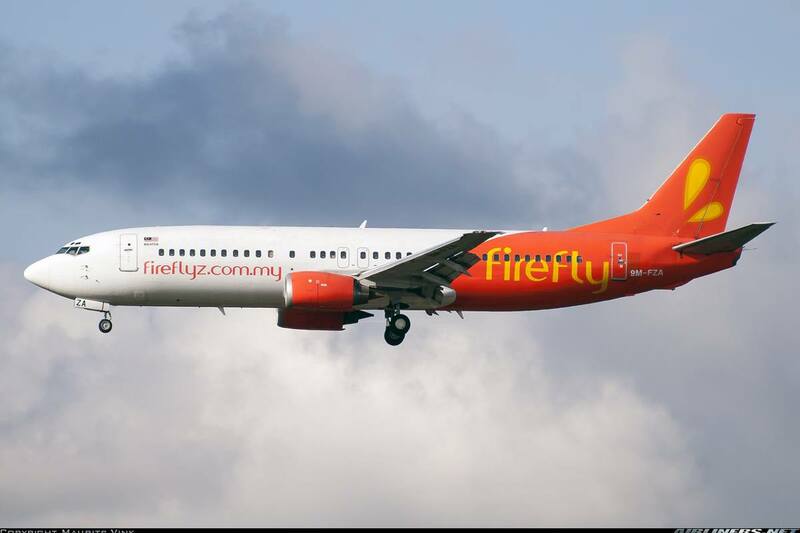 Flying time may be longer than flying on a jet aircraft to KUL airport, but to get to town from Subang is nearer and cheaper. Pros and Cons, you decide! Overall, I recommend this airline.